After installing the mouse, we put it through some subjective performance tests in an attempt to determine how good the mouse really is. These tests were subjective, but we hope through the extensiveness of the tests we will come to an objective conclusion. We tested the mouse in a normal office working environment, and of course, in a few different games. Some graphics testing was done as well by using it in Adobe Photoshop. The games used were DOTA 2, Counter-Strike: Global Offensive, Overwatch, and Rainbow Six: Siege. These games span multiple popular genres of games, which allows us to figure out how well the mouse performs in different genres. The Cooler Master MM830 was also compared to one of the best mice I have used, the SteelSeries Rival 600. 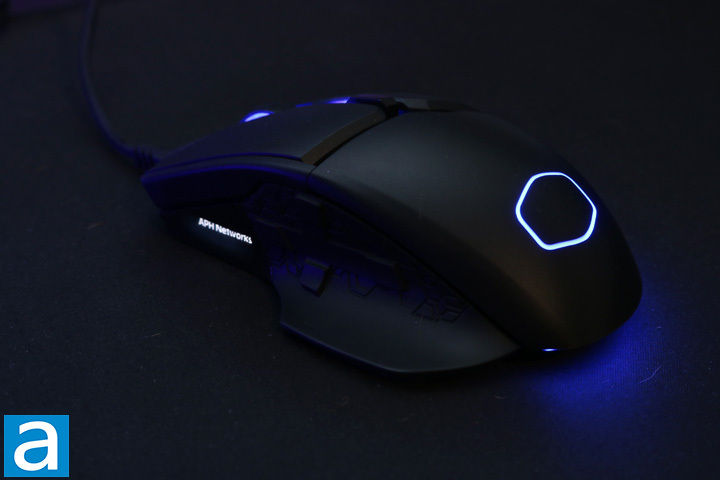 The Cooler Master MM830 is mainly designed for a palm grip, although a claw grip is also comfortable, which is similar to the Rival 600. 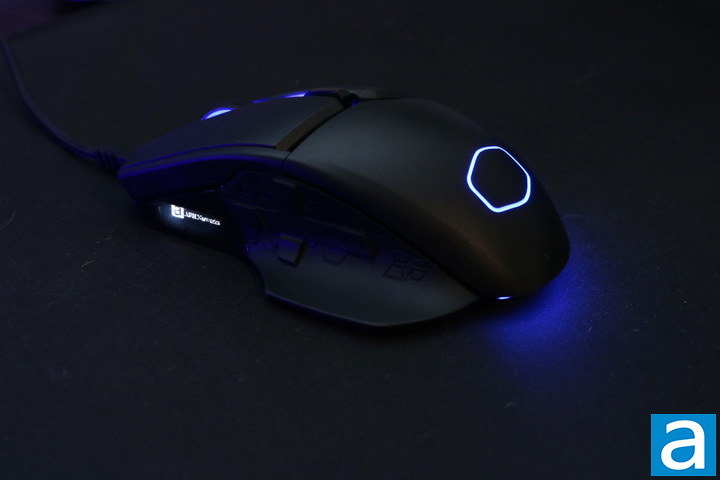 What is entirely different from the Rival 600, however, is one of the main selling points of the MM830, which is the hidden D-pad. I had mixed results with the D-pad. DOTA 2 was the only game I tested that I was able to program buttons to in game abilities, and only two of the buttons could be programmed. In Overwatch, Rainbow Six: Siege, and Counter-Strike: Global Offensive, I was unable to change any of the controls to be used with the D-pad. I found this to be disappointing, since the D-pad is such a cool addition. One more thing is the buttons are really stiff. They were difficult to press when it was in the middle of the action. Their placement is extremely comfortable, but they are just too hard to press. The rest of the mouse was great. The little thumb rest worked really well, and the Teflon feet kept the mouse gliding on smoothly. As you can see above, I decided to throw up two different pictures to demonstrate the OLED screen capabilities. In the first picture, I put a simple APH Networks on, while in the second, I uploaded the logo as well. When you upload an image, the pen color and background color in the software is mixed up, so you cannot manually fix issues in the image. In the second picture, you might be able to notice the missing pixels in the letters, which was something I could not figure out how to fix, but was not the MM830's fault. The D-pad aside, gaming performance was still great. I first started testing in FPS games, where the mouse did really well. However, adjusting the DPI settings was difficult. The software made it easy, but the DPI can only be increased in increments of 200, making it difficult to find that sweet spot. On the other hand, if one so desires, the DPI can be increased all the way to 24,000 DPI, which is incredibly high. Anyway, the Cooler Master MM830 was responsive at every flick of the wrist, making it easy to quickly and effectively turn around. I did not find any strange inconsistencies with performance. Similarly, when I was playing a MOBA, the mouse performed great as well. It was easy enough to move the camera around efficiently, while the mouse tracked smoothly and accurately. The D-pad buttons functioned well in DOTA 2, even though they were hard to press, they were in perfect positions. After getting a little more used to them, it became easier. Overall, the mouse was accurate and smooth and I encountered no difficulty at all. Throughout normal Windows 10 office usage and some light photo editing, I encountered no issues. Tracking and accuracy continued to be strong points for the mouse, while the responsiveness was pleasant. This performance was consistent throughout, which was the same for the gaming tests. Adjusting the settings was easy enough, and it was quick to get comfortable with the MM830. The Cooler Master MM830 boasts the highest DPI I have ever seen, which I played around with for a while. It was extremely difficult for me to control, because I am so used to a low DPI. However, even at higher sensitivity settings normal people would use, it was difficult to notice any jitter. The mouse still performed consistently and accurately. Overall, I am impressed with the Cooler Master MM830's performance. posted 5 hours and 41 minutes ago, with 2 posts. posted 5 hours and 46 minutes ago, with 15 posts. posted 5 hours and 46 minutes ago, with 59 posts. posted 5 hours and 47 minutes ago, with 11 posts.